A Swedish police officer has been stabbed in the neck in a busy square in Stockholm. 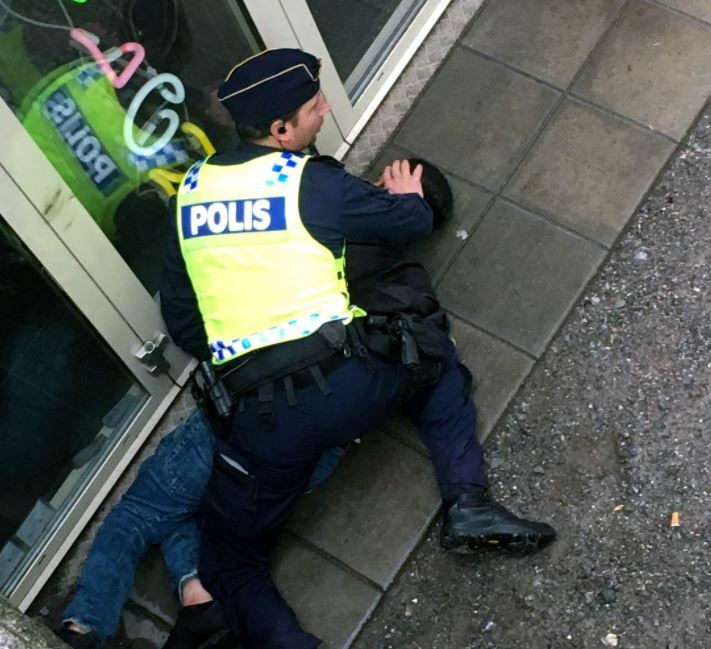 Officials have said it was an unprovoked attack at Medborgarplatsen Square and that the knifeman has been arrested for attempted murder. The attacker is said to have crept up behind the police officer before delivering a blow to the neck at around 10.30am this morning. So far it’s motive unknown! More… A police car was literally stoned lat night in Sweden.